PRICED $157,000 BELOW 2019 TAX ASSESSMENT. This beautiful home on 89 + acres overlooks a stocked pond. Three bedrooms plus an office and a 19 x 19 bonus room, large eat in kitchen with all the appliances. Laundry and master bedroom are on the entry level. Big 2 car attached garage plus a 2 car detached garage. Screened porch and covered porch facing the pond. 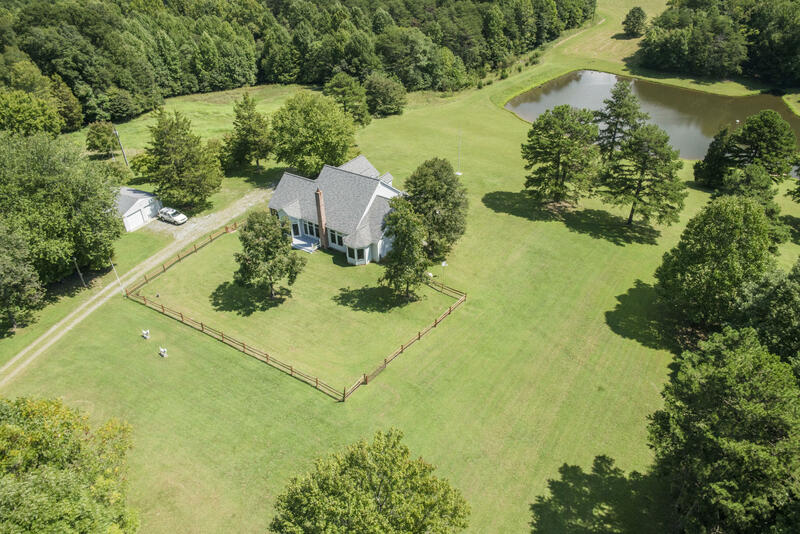 Minutes to Smith Mountain Lake State Park. State maintained road. Whole house vacuum. Horses permitted. Split rail fencing around the back yard. Heating and air conditioning is a three zone electric heat pump. Separate electrical. Water & septic hook-up for RV or manufactured home. $20K upgrade allowance with full priced offer.